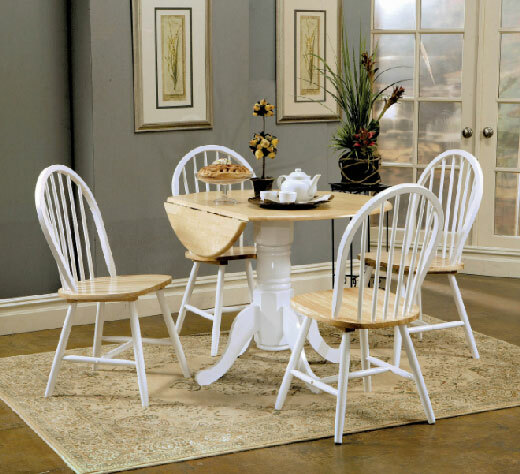 Enjoy these nice Country Dining Chairs in natural wood and white finish. Goes with the companion round country-style dinette table. Price is for each chair.